Includes: Roundtrip transportation from the dock, services of a private Venice tour guide, entrance tickets to Accademia and Doge’s Palace. All our private tours and shore excursions from Venice’s San Basilio and Marittima can be fully customized for families, couples or private groups. Your private shore excursion starts with your private guide picking you up at the dock where you will take a private boat to St. Mark’s squre. 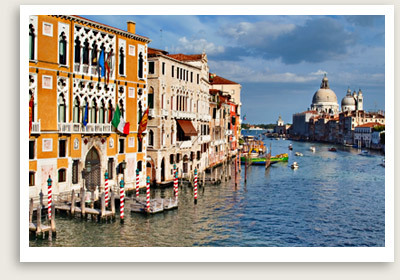 You will have a guided tour of St. Mark’s Square, the Basilica and Doge’s Palace. On this private guided tour of Venice, you will see three of the city’s most important sights. 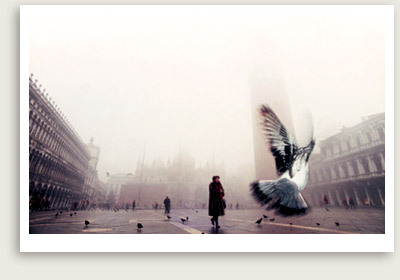 You will start your Venice tour in at St. Mark’s Square, the political and religious center of the Republic of Venice. You will see many of its historical and artistic treasures dating from antiquity: the Basilica with its precious mosaics; the Ducal Palace with its well-known Bridge of Sighs; the Procuratie palaces and the Napoleonic Wing; and the Clock Tower, the Campanile and the Marciana National Library. You can decide whether to include in the tour the visit to the Doge’s Palace inside or continue your walk to the Rialto area. NOTE: The Accademia is in the Dorsoduro district, so you can combine this visit with other guided tours in the area, such as the Dorsoduro walking tour, the Guggenheim modern art collection or proceed as planned and do San Marco district. Your free time follows after your morning tour and lunch, before your afternoon tour begins.